Brain science is an important and evolving field and is having an impact on instructional design trends. While it’s not important that we understand the inner workings of the brain the way neuroscientists do (although it wouldn’t hurt if we did), our designs are improved when we consider the science behind how people learn. This goes beyond learning preferences and “styles.” There are a few brain-related concepts we should keep in mind as we design instruction. How should Instructional Designers implement this trend in 2015? Consider the brain’s limits. Cognitive load theory asserts that learners can only process a limited amount of information coming into working memory from their input channels (eyes and ears) at once. We IDs can maximize the effectiveness of our learning by using schemas learners may already have in place, or by helping them to create new mental models. To simplify, you can think of schemas as prior knowledge, which is a primary consideration when teaching adult learners. 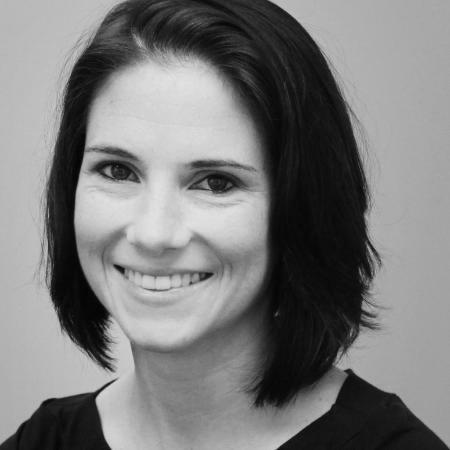 Read more about cognitive load theory from Clare Dygert. Remember, in your analysis, to get an idea of what the learners should already know prior to the training. Adult learners prefer to share what they already know, and they are aware of what they know via metacognition. Acknowledge what learners know, respect it, and then design in a way that allows them to tap into it. Elicit emotion. Involving emotions throughout a learning experience makes it more likely that it will move from working (short-term) memory to be stored in long-term memory. Storytelling is one approach for attaching learning to emotions. Check out this two-part series about Storytelling for Complex Simulations from my colleague Cindy McCabe. Learn more about cognitive load in this cool infographic, as well as in this article by Connie Malamed, The eLearning Coach. Whereas metacognition means how people think about their own cognitive processes, team cognition is how a group of people, typically working together toward a shared goal, think about what they know and how they know it. Team cognition has long been an important area of research and study for people working as first responders and in high-stakes medical settings like emergency rooms. But as work teams become increasingly virtual, it’s important to be aware of team cognition as it relates to the performance of workers in various industries. Social learning is one key approach to enhance team cognition in the virtual environment. 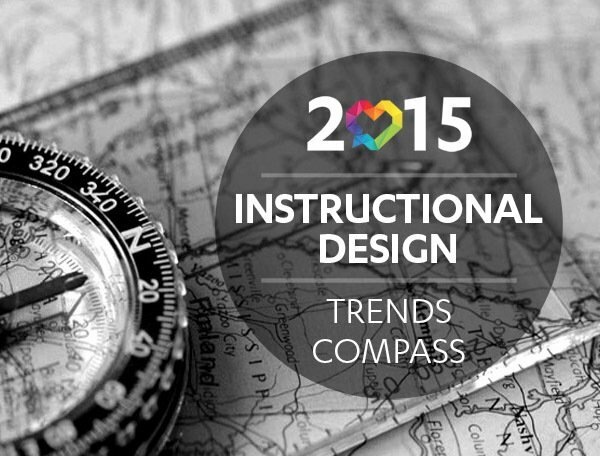 What do these instructional design trends mean for IDs in 2015? Develop learning that helps virtual teams build and/or experience shared mental models, leading to greater workplace awareness. This in turn helps teams respond to changing conditions with greater agility. Incorporate social learning into your designs, especially for internal training purposes. Create opportunities for sharing, collaborating, and connecting through experiences. Use social learning in team training to help increase workplace awareness skills, which is what members of great teams do almost unconsciously in order to be able to jump in and help a teammate in need. This is more difficult to achieve when teams are totally or partially virtual. Don’t force it. Keep in mind social learning occurs informally. Beware of security-related limitations. Many workplaces do not allow the use of social media platforms. Remember, you don’t have to use social networking to achieve social learning. Just find creative ways to incorporate or encourage social learning and team cognition. Learn more about how our clients are incorporating social learning by checking out “Social Learning: Connecting through Shared Experiences” by Kerri Simmons, SweetRush’s director of solution architecture. Increasingly, employers are demanding that recent graduates be able to prove their claims of skills and capabilities; otherwise, they end up dealing with college-educated employees who fall short when it comes to practical skills and knowledge. Students, faced with higher education costs and the demands of employers, are also insisting that their educations result in measurable skills and capabilities. And, increasingly, employers need proof that there will be a return on their investment in employee training. A competency-based program begins with identification of desired competencies (similar to qualifications on a job description, but more measurable) and then training is designed in a way that would teach and assess those competencies. What does this trend mean for IDs? Conduct a thorough needs assessment and needs analysis. Be prepared to put on your consultant hat. Ask questions to dig into what your client defines as competencies or help them understand what defines a competency. Do your homework on designing competencies and related training and how they comprise a competency-based program. There are a number of resources to learn more. Get started with "Competency-Based Training Basics" available on the ATD website. It’s a buzz word for sure, but it’s real. Although many IDs have not been involved with numbers and reports, the reality is that technology-enabled data analysis is important and we need to be aware of what kinds of data our clients are seeking, and what kinds of data clients have that can inform instructional design. For example, clients may have evaluation data from programs similar to the one you've been asked to update. There is an increasing desire for more data and different kinds of reporting for learning products, and all of us in Learning & Development need to keep up with this trend. What actions should IDs take regarding big data? Learn how big data comes into play in analysis and evaluation. Study data and reports, if you are privy to them, to determine how your design is working. This can inform future designs. Keep a pulse on xAPI (also known as Tin Can API or Experience API) and related new LMS features, as this knowledge will allow us to draw better conclusions about levels of engagement and where we might need to make adjustments. The ultimate in learner centrism! Learning can be personalized in a number of ways—from things like a personalized certificate upon completion to an entirely adaptive experience that adjusts as learners take the course. What does this 2015 instructional design trend mean for IDs? Get on board now. Ultimately, we think that personalized learning will be the preferred/best practice in instructional design going forward. Consider the way that websites like Amazon generate a personalized experience for users. Personalized experiences are becoming the norm, and learning design should follow suit. Consider adaptive engines and approaches. There are several definitions and approaches, but, in a nutshell, adaptive learning means there is software in place that adjusts to the learner’s progress and presents content as needed. Here is a white paper about adaptive learning from AECT, and here are some examples of it in practice. Imagine learning environments that change or adapt in real time to learners’ inputs or location. Augmented learning is where virtual reality of the 1990s meets the 21st century—for example, incorporation of learning activities based on GPS coordinates. Imagine connecting these kinds of activities to Experience API (xAPI), which is another hot topic in 2015! As learning becomes more mobile, it will become increasingly important that we design for it accordingly. Too often we take e-learning designed for big screens and make it into an app or make it responsive and call it a mobile strategy. Mobile learning should be bite size or, as some call it, nano learning. How should IDs approach this trend in 2015? Keep it short and simple. Recognize how learners interact with courseware differently when they are on the go. Imagine you have their morning commute on the bus or subway to teach them something ... because that’s all the time they can give you in one sitting. Gamification offers tremendous opportunity for our industry. To keep up, IDs need to become more adept in this area and develop the skills to think like game designers, which requires different skills than e-learning. Your clients may latch onto this approach, because it sounds cool and fun. On the contrary, you may encounter clients and/or managers who do not see the value in a gamified approach or storytelling. “We don’t want people playing games. We need to have them performing their jobs efficiently. Don’t waste their time or my money!” As an ID, it’s important to be able to determine where, when, and for whom gamification is appropriate. How should IDs approach the gamification trend this year? Familiarize yourself with how to implement a gamified design and approach. A great place to start is with Karl Kapp. “Two Types of Gamification” is a good introduction; for a deeper dive, read his books. Play games. One way to ramp up on game design is to play games. Get them from an app store or watch children play them to see how they interact with the elements within them (this is my favorite thing to do). Remember to consider whether your audience will be receptive to this approach to learning. Like most approaches, this one is not a one-size-fits-all. Learn more about flow, motivation, and gamification. Flow, a term coined by Mihaly Csikszentmihalyi, is that feeling of complete engagement that comes when we are totally engaged in play. Csikszentmihalyi asserts that flow can be controlled and doesn’t have to be left to chance. Game elements that are effective are so because they initiate flow. This article from Learning Solutions Magazine: “How to Engage Learners with Scenario-b Based Learning” is helpful. It will be interesting to see how these instructional design trends will emerge and develop over the course of 2015. Articles and books will give us fresh ideas, and clients and projects will give us the opportunity to get hands-on. These trends will mature and show their value as we discover the audiences and environments in which they can thrive. Most industries are changing rapidly, and the changes can seem daunting. However, one of Stephen Covey’s famous 7 Habits, “Sharpen the Saw,” encourages us to create a program of self-renewal, including learning and researching for mental growth. It’s a timely reminder as we start the new year and think about what we hope to accomplish. We are fortunate to be IDs with the tools and stamina to research, learn, change, and incorporate best practices to make our work more effective. I hope that prospect seems less daunting for you now with this examination of the trends, and this “compass” has pointed you in the right direction and encouraged you to challenge yourself to learn more. Read more about the latest instructional design and e-learning trends at SweetRush's blog.